Back-to-school time is always a little crazy, but it can be especially stressful if your kids have food allergies. 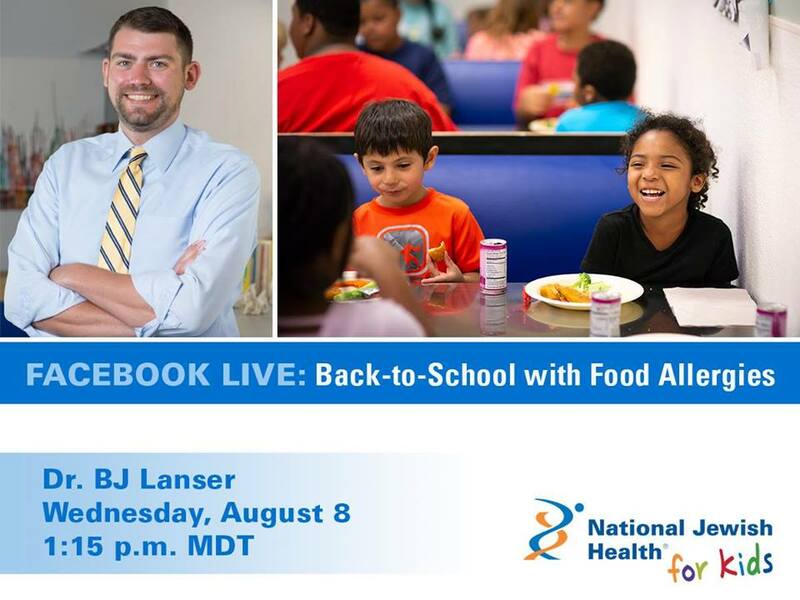 National Jewish Health is hosting a Facebook LIVE discussion this Wednesday with pediatric allergist Dr. BJ Lanser to give parents and caregivers tips on prepping for back-to-school with food allergies. Watch a video from Dr. Lanser here. Send them your questions and join the live broadcast to get the answers. Be sure to like the National Jewish Health Facebook page and tune in on Wednesday, August 8 at 1:15 p.m.